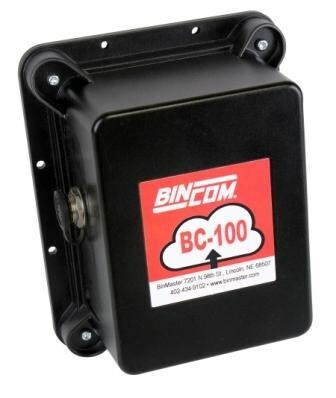 The new BinCom solution revolutionizes remote monitoring with end-to-end solutions for sensor-based networks. BinCom automates data collection, dissemination, and reporting for industries such as agriculture, mining, plastics, food processing, cement, biofuels, chemicals, oil & gas. BinCom automates data collection, dissemination, and reporting for industries such as agriculture, mining, plastics, food processing, cement, biofuels, chemicals, oil & gas. The new BinCom solution revolutionizes remote monitoring with end-to-end solutions for sensor-based networks. Lincoln, Nebraska—BinMaster of Lincoln, Nebraska and Device Solutions Inc of Morrisville, North Carolina have announced their strategic alliance that will revolutionize remote monitoring with end-to-end solutions for sensor-based networks. The companies have teamed up and designed systems that automate data collection, dissemination, and reporting. Customers across any industry will be able to monitor and manage data from all types of sensors for properties such as level, temperature, moisture, humidity or flow and be alerted when pre-determined thresholds have been met. Other system features include the ability to track assets and automatically optimize routes for delivery vehicles.